Rib Eye on-the-bone steak is a wonderfully flavoursome cut of beef that is perfect for reverse searing! When cooking steaks over high heat, always remember to ‘Burp’ the dome lid before fully opening. This ensures the build up of heat doesn’t result in a burn to the face or arms. With a thick steak there’s always a risk that the outside will be charred, whilst the inside remains raw and even cold! 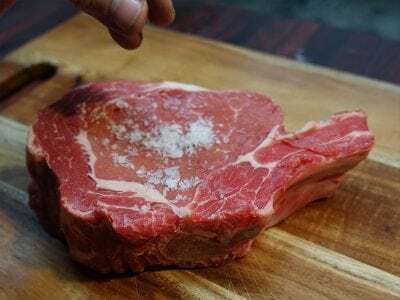 The Reverse-Sear method takes all the stress out of the cooking steak, by gently heating the meat to within 7 or 8 degrees of ‘doneness’, then searing it just before serving. Season the Ribeye with a little salt. 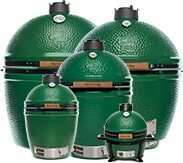 Remove the ConvEGGtor and light a small fire in the Big Green Egg. 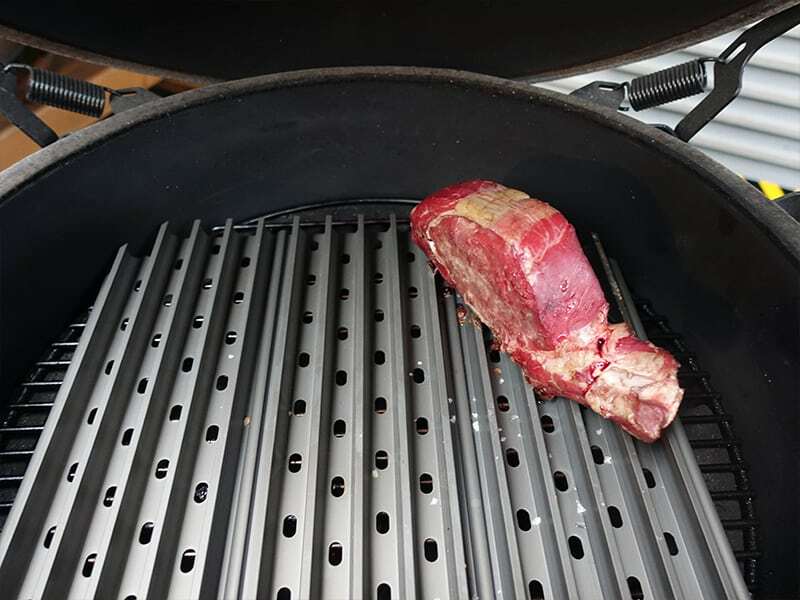 Once the charcoal is lit, place the stainless steel grid directly over the Fire Ring and place the steak on the grid to take advantage of the heat and smoke being generated. This gently heats and flavours the steak. Set the vents for a cooking temperature of 120 – 130°C and when close to this target, use a BBQ mitt and tongs to remove the steak. And now for the secret weapon! 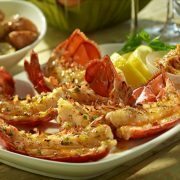 Place a set of GrillGrates directly on top of the stainless steel grid. 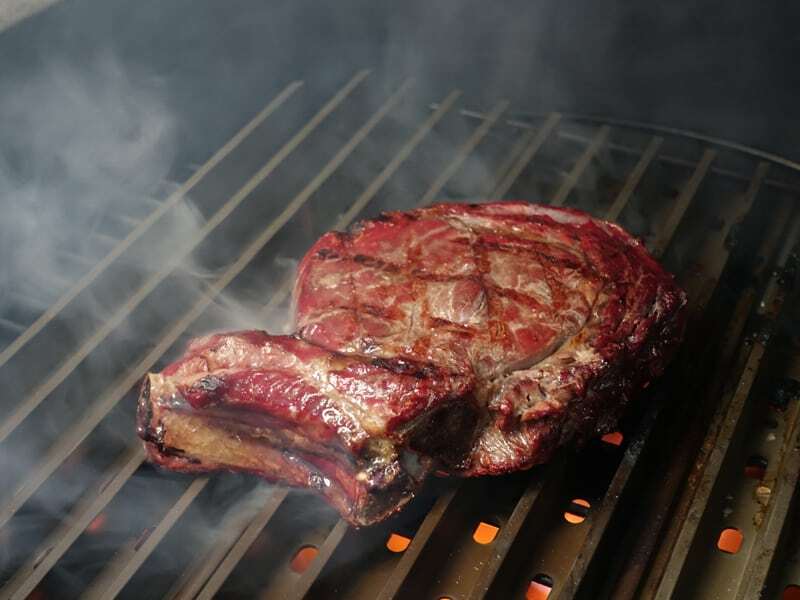 GrillGrates are a brilliant way of achieving restaurant quality sear marks on any steak. Once you’re back at temperature (between 120-130°C), place the steak to the side of the GrillGrates, to avoid too much direct heat. For a Medium-Rare steak, you will need the internal temperature to rise to 45°C (113°F) before moving onto the searing stage. The steak will gain another 5-7°C (9-12°F) as it sears, bringing it to a perfect Medium Rare. When the steak has nearly reached 40°C, remove the steak and cover to keep it warm. Now for the searing stage. 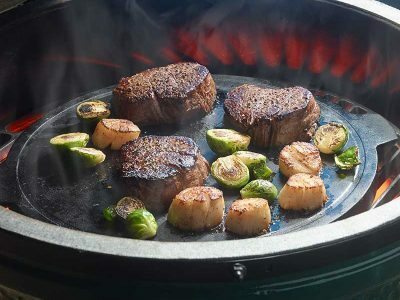 Open the top and bottom vents of the Big Green Egg to allow the dome temperature to rise to 325° (617°F). This will give a GrillGrate surface temperature of approximately 390°C (734°F). Do not exceed this temperature or you could damage your GrillGrate set. Place the steak back onto the GrillGrates and close the dome lid. Wait one minute before turning the steak 90 degrees to achieve a lovely crosshatching pattern. Wait another minute before flipping the steak to crosshatch the other side. 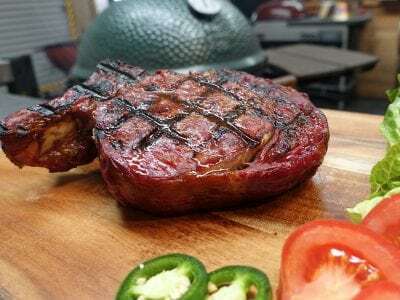 Remove the Rib Eye from the Big Green Egg and rest for three minutes prior to serving.